Jose obtained his degree in Bachelor of Science in Legal Management from De La Salle University-Manila in 2012. He obtained his Juris Doctor degree from the Ateneo de Manila University School of Law in 2017 where he graduated with second honors. 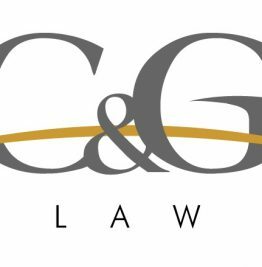 He joined C&G Law in 2018. Jose handles tax, labor, and commercial litigation. He has represented clients in the energy, mining, and manufacturing industries, and appeared before local government tribunals, trial courts, and quasi-judicial agencies for civil and administrative cases. Admitted to the Philippine Bar in 2018. Jose has experience in advising and assisting clients in Philippine tax laws, rules and regulations involving the dispute and settlement of questionable or unconscionable tax assessments. He has represented independent power producers, a multi-national manufacturing plant, an international pharmaceutical company, and a private individual before various local government tribunals, trial courts, and quasi-judicial agencies. Jose also has experience in advising and assisting clients in Philippine civil and criminal laws, rules and regulations. He has represented a manufacturing company and an insurance company in a criminal case before a quasi-judicial agency. He has also represented a multi-national bank, a manufacturing plant, and various other companies before the relevant trial courts. Jose has also rendered advice and legal opinions on Philippine labor laws and handled employment-related claims, as well as appeared before the National Labor Relations Commission for an international bank, as well as a Philippine-based technological company. Jose has assisted in the due diligence work for the merger and acquisition of a local pharmaceutical company and a local credit bureau business. Jose has also reviewed and assessed the compliance of an international beverage company with Philippine laws, rules, and regulations. Jose has also assisted and advised foreign nationals as regards Philippine immigration laws, rules, and regulations. Jose has also represented foreign nationals before the various government agencies and quasi-judicial tribunals. Pension Politics: An Assessment of the True Nature of the Social Security Pension Fund (2016), Juris Doctor thesis, Ateneo de Manila University School of Law.